With an increased demand for infrared products across a growing number of markets, FLIR has become a world leader in the design and manufacturing of Thermal Imaging Infrared Cameras. Today, FLIR’s thermal imaging products can be found in commercial, industrial and government markets. A Thermal Imaging Infrared Camera renders infrared radiation as visible light, which allows its user to see areas of heat through various barriers. Thermal Imaging Infrared Cameras are rugged and are constructed to be heat and water resistant. Many Thermal Imaging Infrared Cameras are handheld, however, they may also be mounted to helmets or various equipment; providing the user with a portable and manageable field device. Who uses FLIR cameras and where? Commercial applications: FLIR’s thermal night vision cameras may be used for individual consumers, first responders, firefighters, security professionals and OEM’s. 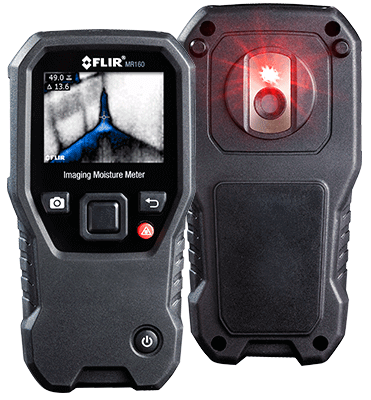 Industrial applications: FLIR’s infrared cameras can be used for building diagnostics, research and development, gas detection, furnace or boiler inspection and other electro-mechanical imaging purposes. Government systems: FLIR’s thermal imaging cameras may be used surveillance, threat detection, radiation detection, explosives and narcotics detection, perimeter intrusion detection and field-based chemical analysis.